Athletes come in all shapes, sizes, and ages. 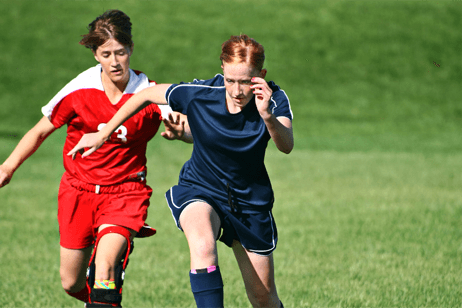 Some sports injuries result from direct trauma, others from overuse. After many miles or hours of sport, you can develop tendon, ligament, and joint pain. NY Physical Therapy & Wellness has highly trained licensed physical therapists who are experienced at treating the causes of your pain. Trust the experts who work with pro athletes. Whether you're a casual weekend warrior, an active adult, or an elite professional, you want effective sports medical care when you're injured. Whether you suffer from training errors, muscle tightness, weakness, or mechanical imbalances, our veteran professionals will get you back in action as quickly and safely as possible. We also offer pre- and post-surgical therapy. Our goal is to maximize your function. Even if you can't return to 100% function, we want you to perform as close to your potential as possible. We'll show you the correct body mechanics to prevent reinjury and keep you active. For more information on sports injury rehab or to schedule a free sports injury assessment, call the NY Physical Therapy & Wellness office nearest you today or request an appointment online. We have 10 convenient locations serving Nassau County, Suffolk County and Queens.